Something I was never prepared for, was how much my body would change the closer I got to 30. 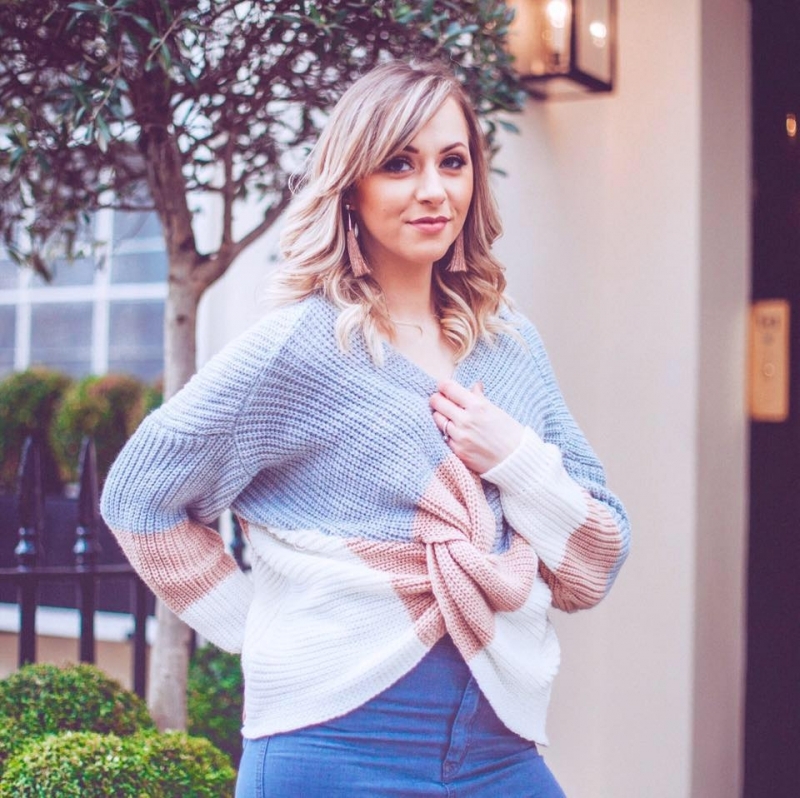 I’m assured it happens to everyone at some point, which is reassuring to hear, and I do count myself lucky that I was one of the fortunate people who’s body delayed the physical signs of childbirth… Ten days after having my son I was back in my size 10 jeans – don’t hate me. In fact it’s only now that he’s 5 and I’m 28 that I’m noticing a big difference in my body. The first few years of his life, my body was the same as before he came into the world. I was also one of those annoying girls who could eat and drink anything and never put weight on. I say that with no pride at all, because let me tell you this – a high metabolism and an inability to keep weight on, meant that with the first sign of stress it caused weight-loss I couldn’t afford…to the point where I frequently had to be put on medical calories (powdered calories to add to all food and drink to make you put on weight.) Being too slim isn’t fun, no matter what you think. But in the last few years I made a change to my pill and suddenly everything was different… I put on more weight than ever before as it kicked my hormone imbalance into new depths and I found that the curse of my family finally kicked in – the dreaded cellulite. It’s genuinely the thing I hate most about my body. I have it badly and I hate it. When I say it runs in my family, it really does. My cousin is uber skinny and one of the fittest people I know. She drinks tonnes of water each day and eats a very healthy diet. And still she has the family orange peel trait. And yes, I do know that cellulite isn’t linked to fat – it just makes me feel better to blame 50% on my slightly bigger body now, and the other 50% on my genes, okay?! My nan, my aunties and my mum all sport the family trademark. And it’s not mild. In fact I admire my mum who’s always just got on with things and managed to find ways of fashionably covering it up when needed, and also not giving a flying hoot when needed too. 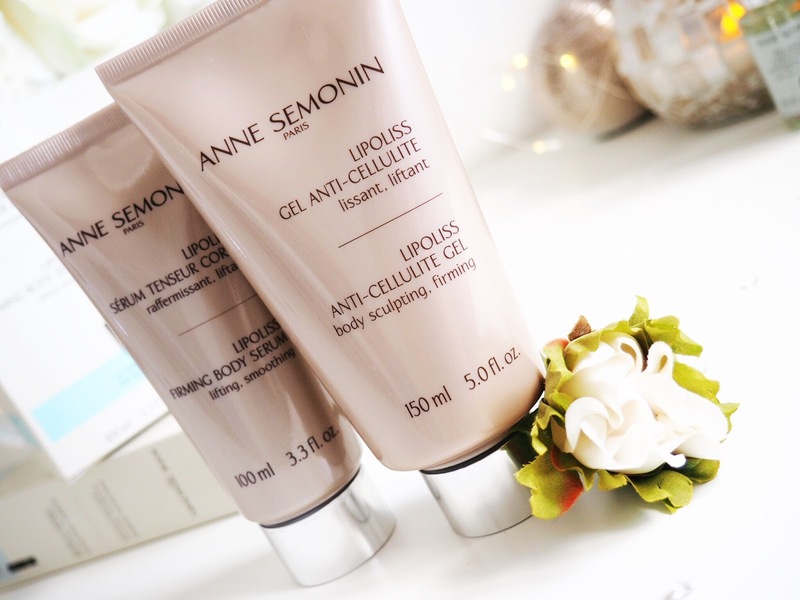 Women who cope with cellulite everywhere – I salute you! Mine started on my bum and thighs and is now gradually spreading down my legs and even appearing on my arms. My knees are pretty bad now too. Which is where my real hatred for this ‘thing’ came in. At least on my bum it’s hidden, on my arms and knees?! How can I at 28 be expected to cover my knees at all times?! I live in shorts and summer dresses in the warmer months! Except I haven’t been recently, and I’ve been desperate to change things. I drank more water (and yes, less Diet Coke – even though that broke my little heart!) I ate more fresh fruit and way more salad than I liked. I started going to the gym 3-4 times a week – all to combat those horrible areas… Nothing made a difference, it just got worse. 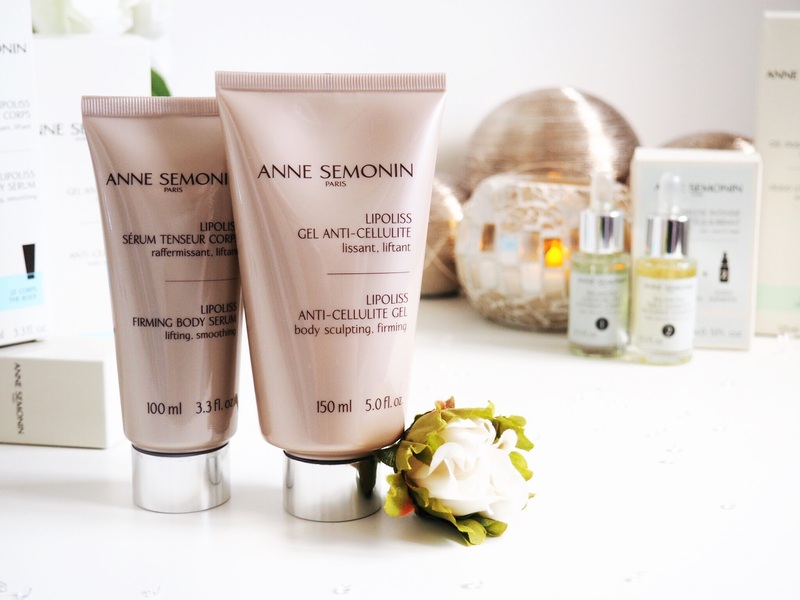 So when I heard about the Anne Semonin Anti-Cellulite Gel and Firming Body Serum, well, I knew I needed to give them a go. For the sake of the poor people forced to sit next to me on a sun lounger on future holidays. I can’t be held responsible for my orange peel putting them off their cocktails now can I?! So, there I was – applying day and night and literally inspecting every inch of my bum, thighs and knees on a daily basis. I was so ready to see results. I’m the most impatient person in the world, it’s my biggest flaw (trust me, I know it’s true – ask my Dad, he’s quite vocal about it haha!) so I found it hard to not wake up with catwalk model style smooth legs approximately two days in. But there is no quick fix for cellulite – it’s important to remember that. If you’ve got it, it’s medical and although treatable cosmetically, it’s not something that can be sorted out instantly. Be realistic – that’s what I told myself on day three.. So, I’ve been using this for over a month and what are my results? Well, I am thrilled to say that you can physically see a difference in the cellulite. 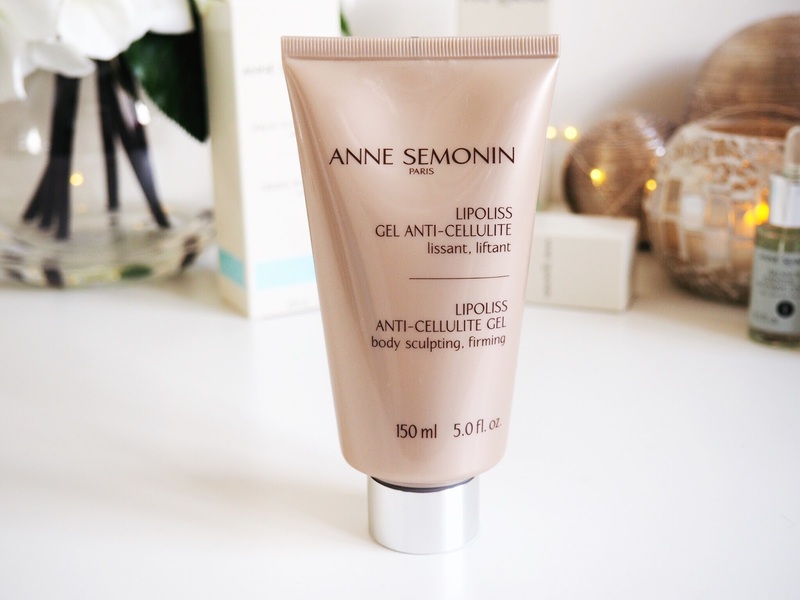 It takes consistent use but it’s the best result I’ve had from a anti-cellulite product. The deeper dimples are looking less profound now, and the lighter areas which were just developing are looking a lot better. I like to think that Anne Semonin has nipped those early fatty build ups in the bud, ahead of time. And my knees? Well, they are looking a LOT smoother around the kneecap. My skin looks firmer overall on my bum and knees and the middle bit is looking less cellulite filled. 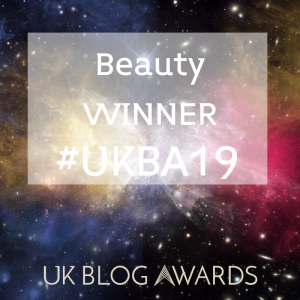 It’s all in the technique too – when applying I make sure I use the kneading and twisting motion that’s always recommended to beat cellulite. You need to break down those fatty build ups, so I’ve been using a kneading motion when applying, which I think has helped too. 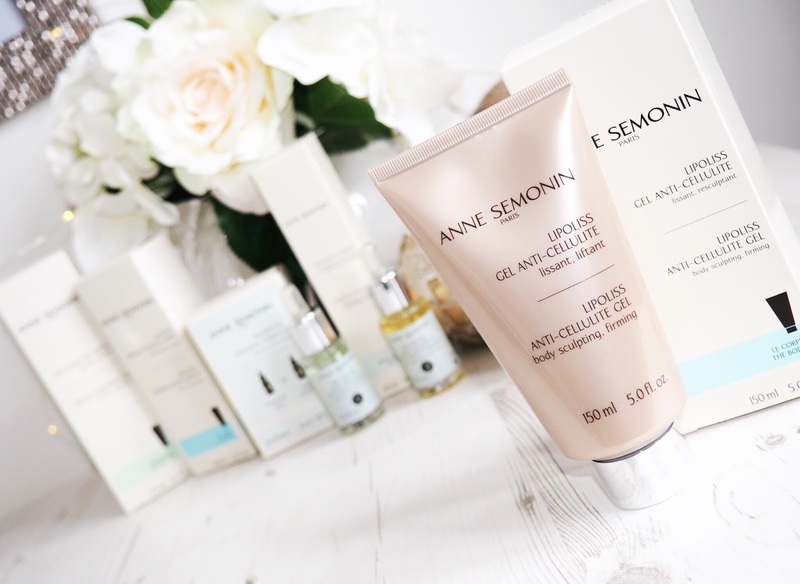 However the Anti-Cellulite Gel can’t take all of the praise because I’ve also been using the Anne Semonin Firming Body Serum too. This body serum is designed to firm skin that’s slacking and showing signs of loosing it’s elasticity – which for me is my tummy and bum. So I’ve been applying it to my tummy twice a day and my bum once a day – usually right before I get dressed. So my routine is this: I apply the Anti-Cellulite Gel at approx 7:30am after my shower and then the Firming Body Serum at approx 8:30am right before I get dressed and leave the house. 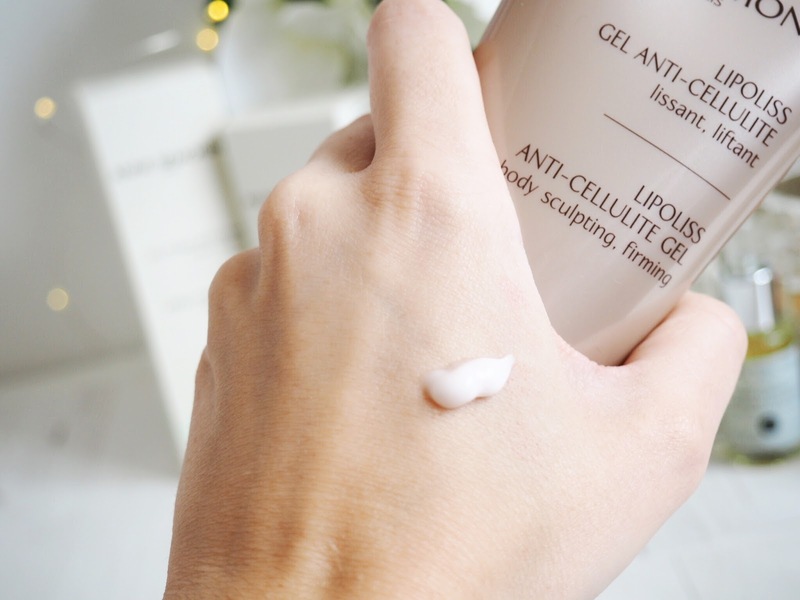 This gives the Anti-Cellulite Gel enough time to take effect without me feeling like I’m overloading my skin. It’s a combination of these products, as well as drinking more water, exercising more and eating better that means I feel like I’m FINALLY making some headway with combating the cellulite. I don’t have thousands of pounds to spend on surgery to fix my body imperfections but these two nifty products are slowly and surely helping me regain some of my lost confidence when it comes to my bottom and legs. I can hand-on-heart say that the thought of wearing a bikini is the only reason I don’t take my little boy swimming – he loves swimming. It breaks my heart to need friends and family to take him because I am so self conscious about my cellulite. But at this rate I can imagine myself taking him for a swim this summer because I’m gradually feeling a difference in my legs thanks to these products. And yes, I know it’s because of them, and them only, because I haven’t eaten differently or gone to the gym more than I already was – the only thing I’ve changed in the last month or so is using these. And it’s now that I’m starting to see a difference. “Slow and steady wins the race” and I’m happy to be slowly tackling my cellulite race. I will win. Count my words. Thank you Anne Semonin for helping to give me some of my body confidence back. I can’t wait to see what my legs look like in another month, and then another. 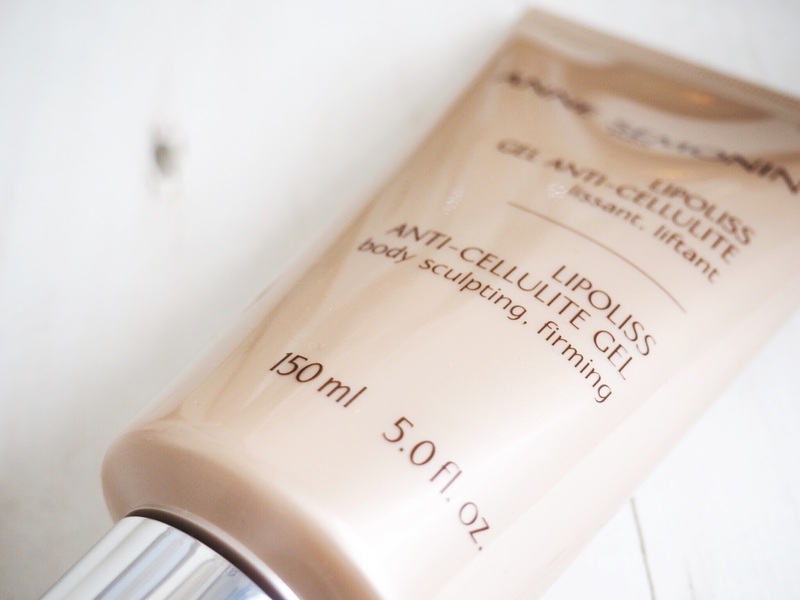 Do you have cellulite? Would you be giving this a go?